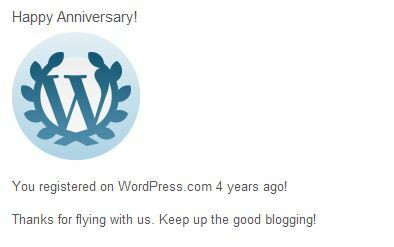 Today marks three years since I started this diary, I wouldn’t have remembered had wordpress not put up that notification! 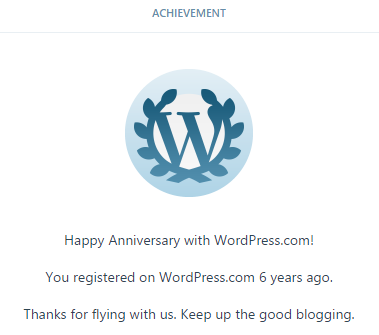 So happy anniversary to mackel9.com! I know I haven’t been updating my mundane ramblings about what’s going on in my simple life, but as with each new year I will make resolutions to write more and break them after one month lol. Africa will not be transformed by technology or transitional government; neither will religion bring release or relief to the nation unless every man and woman rises to live, think and be more than any law could ask. Not by armies and politics, but by intelligence and integrity will the nation become a God fearing, vibrant socio-economic enterprise. This Africa cannot be forced to be. This Africa must come from the heart. It must be built, not by free slaves, but by the minds of men who are free. Not by people with education, but by people with spirit and dedication. Not by competition, but by competence. Not by compromise, but in collaboration. Not by men with power, but by men with vision. Not by minerals, but by wisdom to manage wealth. By dignity, industry and self-respect will its foundations be laid. To transform Africa is to start enterprise, to create wealth and to produce value. To transform Africa is to accept responsibility for change. It is to innovate, not live in the past, and not live in fear of the state or the tax rate. To transform Africa is to feel the pride of a nation, to be a blessing and not a burden of creation. To have an attitude of gratitude and the discipline to work. This is the Africa I live to see, work for and, if need be, die for. This Africa is free to be all that God made it to be. Where people do not earn a right to live, but have the character to work. Not where democracy reigns, but where people rule themselves in the fear of God. Not where people make plans to receive, but work hard to get and to give. Not where food is always needed, but where enough is always planted. This is the Africa God has given me, the Africa that was meant to be. Not where a man is free and women seek liberty, but where both men and women accept responsibility. This is my Africa; a land where sons and daughters, born to the family, live to be citizens and do not need to flee. Where all men are saved from the sin of self-pity and the fear of poverty. This Africa I want to see. This Africa is a blessing to me. This Africa I am proud to be.